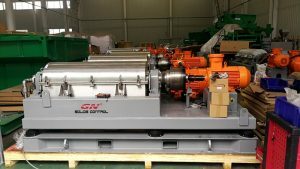 GN ViST vacuum shale shaker is a shaker unit with a vacuum suction hopper installed under the last shaker screen. 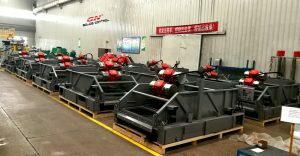 The purpose to use the ViST vacuum unit under the shale shaker is for more recovery of the drilling fluids in the same conditions compared with shale shaker without ViST system, and the discharged drilling cuttings will be much drier, so the user can save cost to treat and disposal the drilling cuttings. Normally it is very difficult for the offshore drilling cuttings collection, treatment and disposal, sometimes client will ship them back to drilling waste management facility in land, the collection and shipment cost is very high, other clients use cuttings re-injection technology, some clients use Thermal desorption unit, some clients installed drilling waste management on the offshore rig floor, but normally the area for offshore drilling rig is very limit, it is hard to install a complete vertical cuttings dryer system. 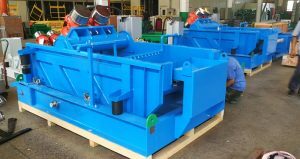 Because of these reasons, ViST vacuum shale shaker became very important for offshore. 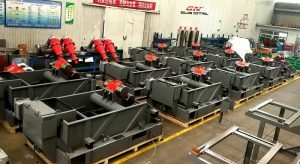 As a professional solids control and drilling waste management system manufacturer in China, GN solids control, GN solids control keep developing new and advanced technology for oil & gas industry and provide the best solution for our clients. 1. GN ViST vacuum shale shaker is suitable for oil based mud, water based mud and Synthetic oil based mud. 2. By using the ViST vacuum shale shaker, the drilling fluids recycling will be increased by 30%~50%, It greatly reduces the volume of drilling waste and the cost to transport the drilling waste. 3. By using this ViST vacuum shale shaker, no need extra high G drying shaker again; The compact design did not take much area at site. 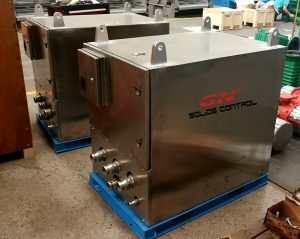 If you are interested in GN ViST vacuum shale shaker, pls contact with GN solids control.